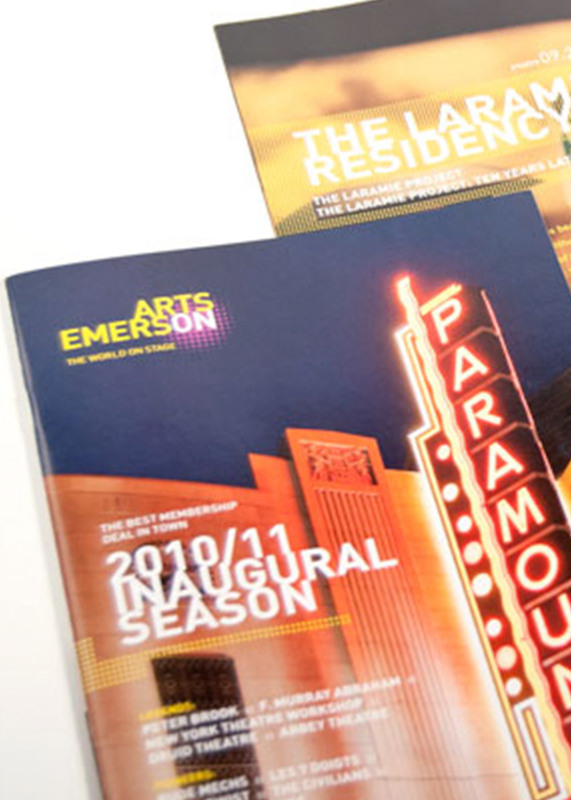 Located in the heart of Boston, Emerson College is a leader in higher education. Recognized for top ranked programs in communications and the arts, the college wanted to extend their distinguished reputation to new audiences around the world. By launching innovative public programs throughout the city’s historic theater district, they also hoped to reshape Boston’s cultural landscape. 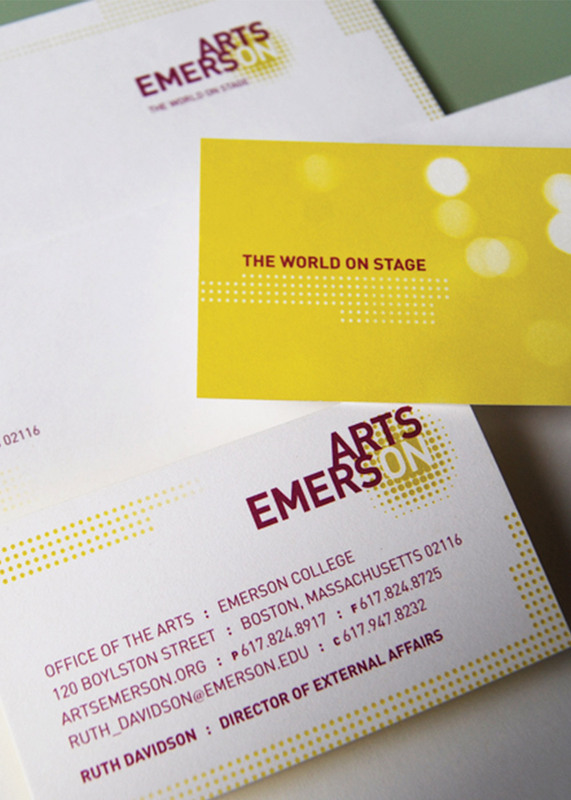 In need of a strong visual presence, Emerson approached Minelli to develop a brand identity for their new performing arts organization that captured the excitement of this important moment. 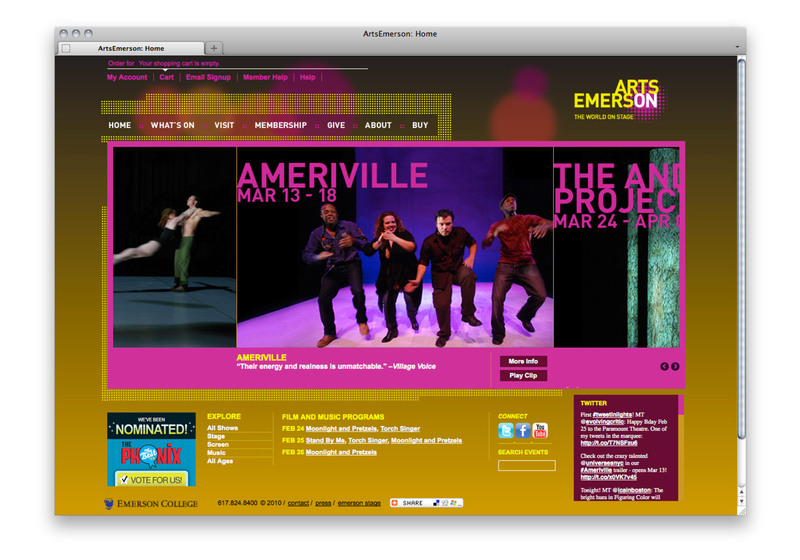 The name of the new organization and tagline, ArtsEmerson: The World On Stage, reflects the college’s ambitious vision of bringing the world’s best theater to Emerson’s stage – performances that would otherwise never appear in Boston. For the organization’s visual identity, Minelli designed a system that references theatrical metaphors: a pattern suggesting marquee and stage lighting; a custom typeface treatment that emulates a stage set constructed of various props; and a signature style for colorizing and cropping photography that adds an element of surprise. The creative work, along with the new name, tagline and messaging, became the foundation for launching the new organization. 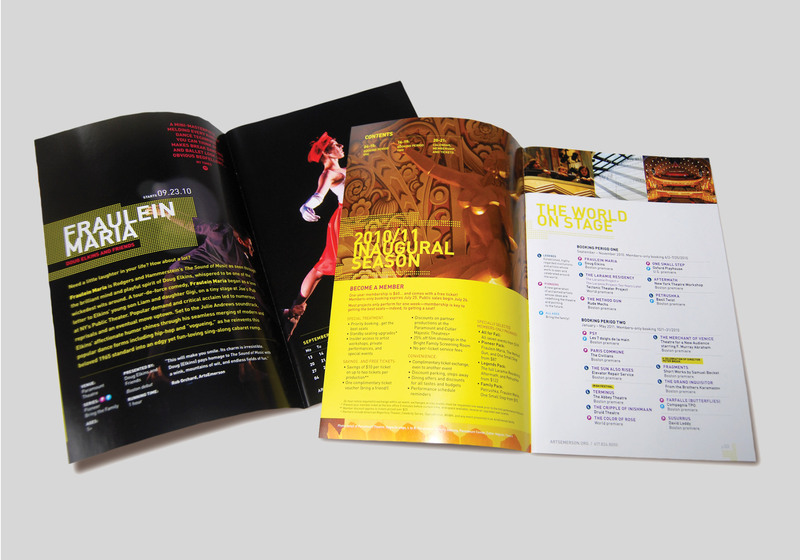 The inaugural season of ArtsEmerson: The World on Stage was introduced in September 2010. By season’s end, ArtsEmerson had sold more than 50,000 tickets and raised nearly $2.3 million in revenue.